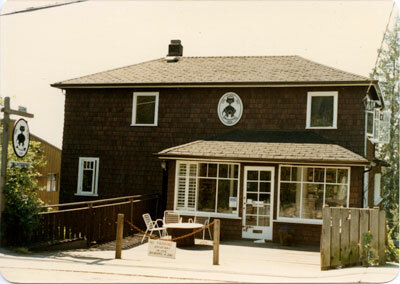 The Black Cat, 3396 Marine Drive. Historic landmark built in 1922 at the then terminus of Marine Drive. When this photo was taken in 1987 the building housed an antique store. By 2011 the building was in use as a home and office.